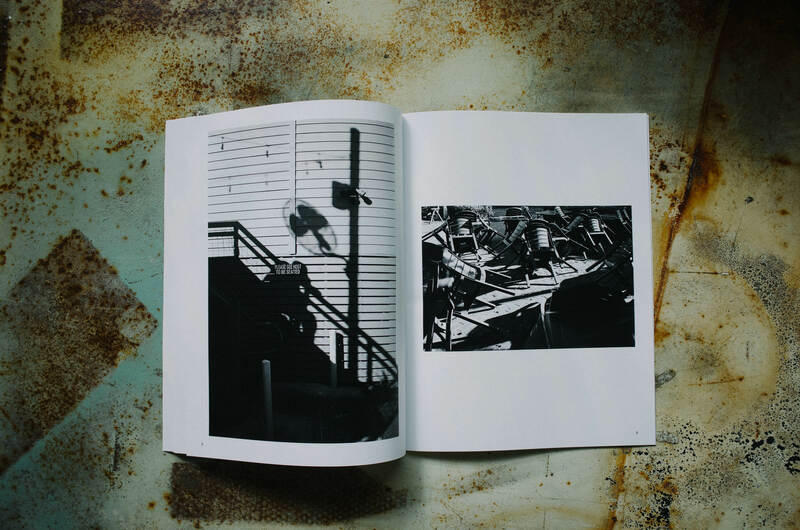 Today, we take a look at Amy Jordan’s zine All the Places I Thought Were Strange. Amy is a contemporary landscape photographer living and working in Portland, Oregon. Amy specializes in working with black and white themes. 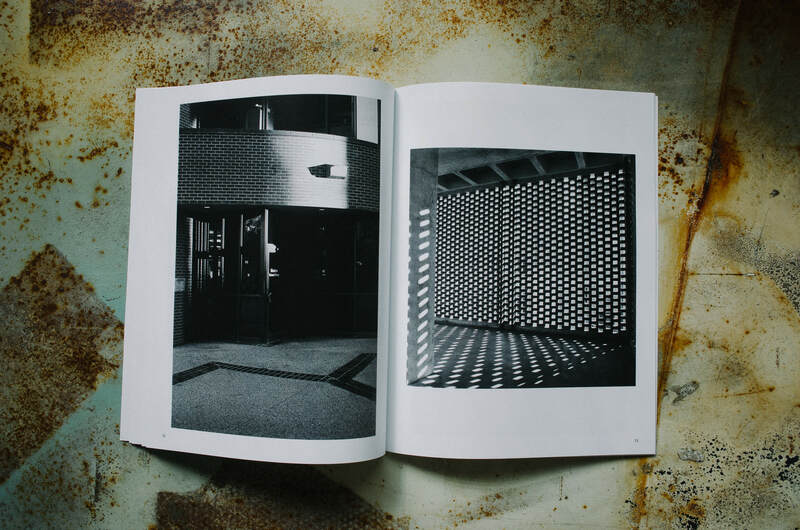 Amy’s latest zine includes twenty pages of monochrome images in an 8.5×11 format, taken between 2015 and 2017. These images put a spotlight on what the title simply states: places she found to be strange. 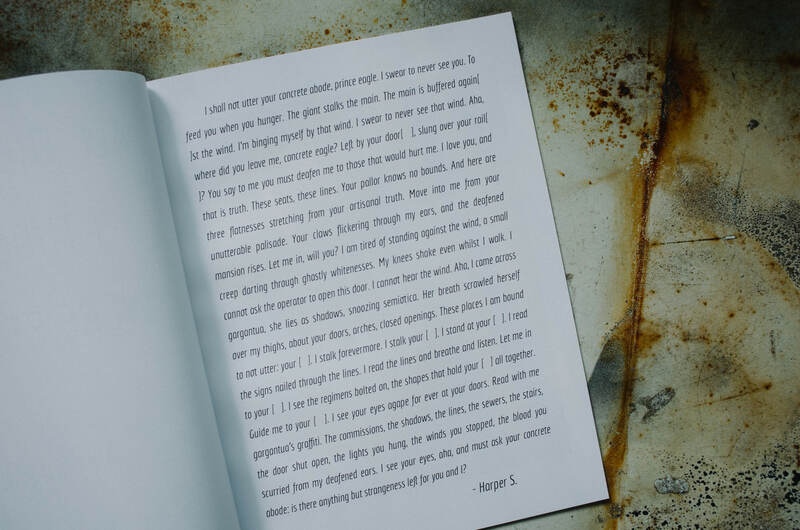 The opening preface by Harper S. sets the stage for the zine and gives remnants of a feeling of entanglement with an inability to break free from unfamiliarity. Looking through the images, some places are more obviously strange than others. While all images have something “off” about the environment recorded, I specifically enjoyed the images that has a single or simplistic element that breaks a balance or pattern that would be there otherwise. Amy does a great job in allowing you to experience the set up of each shot through her mind, framing, and finally snapping the shutter. A great expression of her planning and photographic vision. Of course, like any other black and white images, the beauty is either constrained or exuded by its lack of color. Many of the images in Amy’s latest work are not only visually appealing in their content, but show a rather wonderful use of lighting and contrast. Perhaps my favorite aspect of these images is that the landscapes are rather common places that most people would walk by and think nothing of, however Amy does her best (and succeeds) in making the ordinary world into an extraordinary photograph, and ultimately a body of work. 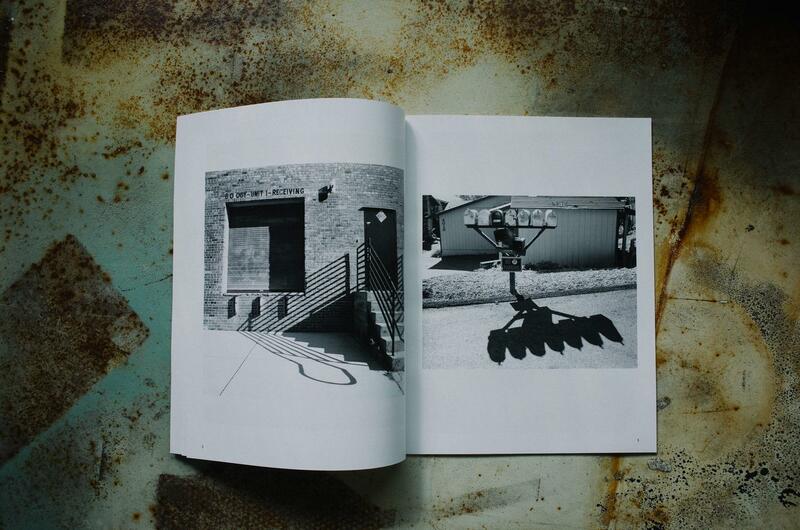 Thanks so much to Amy for reaching out and submitting her latest zine. This is definitely a great collection of photos to have for anyone who loves contrasty, black and white images. To see more of Amy’s photos and to inquire about purchasing your own copy, check out her Instagram accounts here and here. 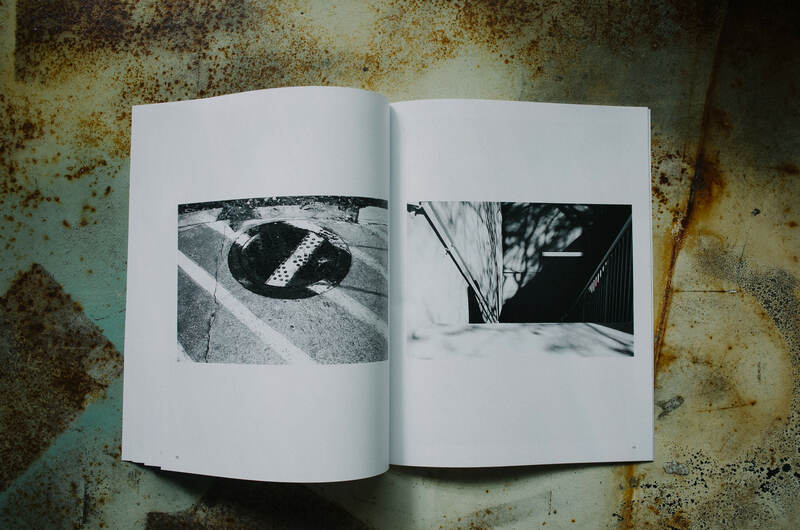 If you have a book or a zine that you would like to have featured here on Now Developing, feel free to send an email!